Our friends over at Three to let us know that the recently announced 3G version of the popular Nexus 7 tablet should soon be available on a variety of tariffs. Although there is no mention of when or how much, we’ll bring you further info as and when. 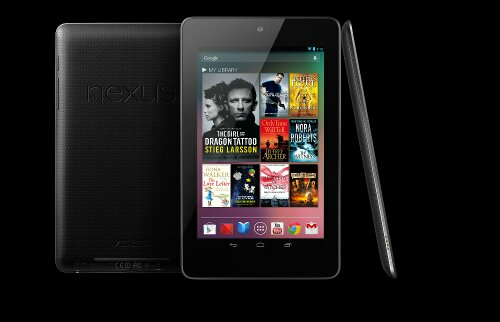 Today Three announces that the new 3G enabled Nexus 7 tablet from Google and ASUS will be coming soon to the network. Offering the ultimate Google experience, the Nexus 7 has access to millions of eBooks, thousands of great movies and over 675,000 apps and games through Google Play TM . This great tablet also comes preloaded with all your favourite Google Apps including Gmail TM , Chrome TM , Google+ TM and YouTube TM . Thin and light, the Nexus 7 fits in the palm of your hand and with 3G connectivity is perfect for downloading the latest eBook or web browsing while on-the-go. The tablet also includes a long battery life so you can enjoy over 9 hours of HD video playback on the device’s stunning 7” scratch resistant screen.